Steel Titans brings you the ultimate monster truck experience! Prepare yourself for real trucks, real stadiums, and all the stunts and smashing you know and love! Monster Jam Steel Titans is fun for all ages! Details below! What's included with Monster Jam Steel Titans? Included is the Monster Jam Steel Titans base game for PC. Is there any region lock for Monster Jam Steel Titans? How will I receive my instant download for Monster Jam Steel Titans? If you're looking for the ultimate monster truck gaming experience, you've come to the right place! 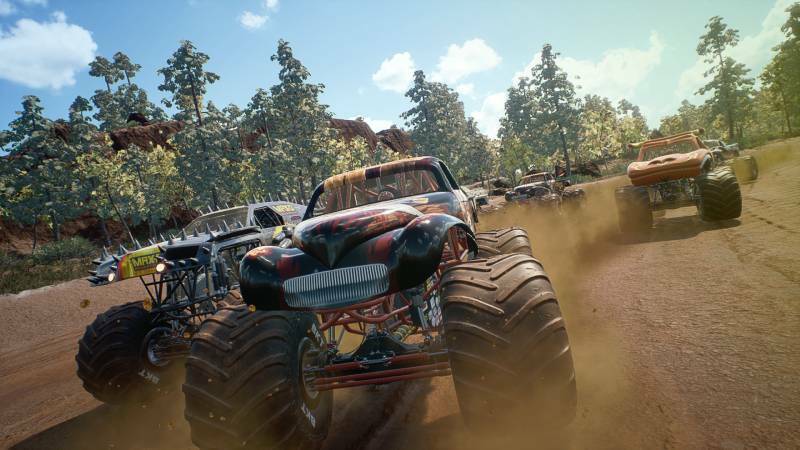 Steel Titans features real monster truck action and a variety of game modes to try out. 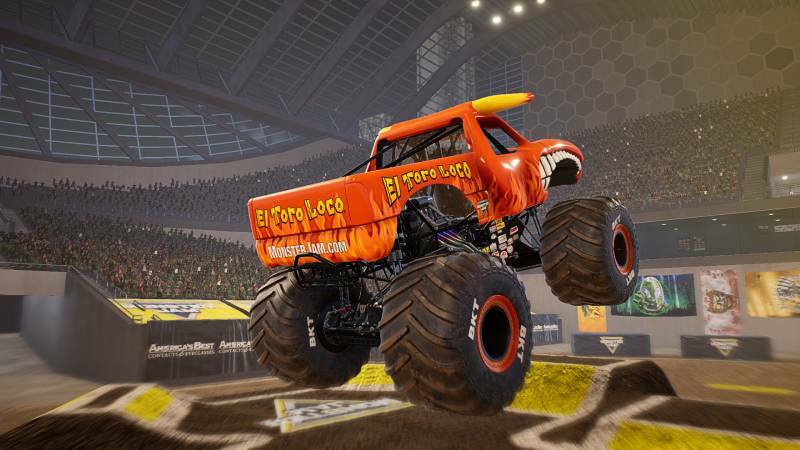 25 of the most popular monster trucks are in the game, including Max-D and Grave Digger. 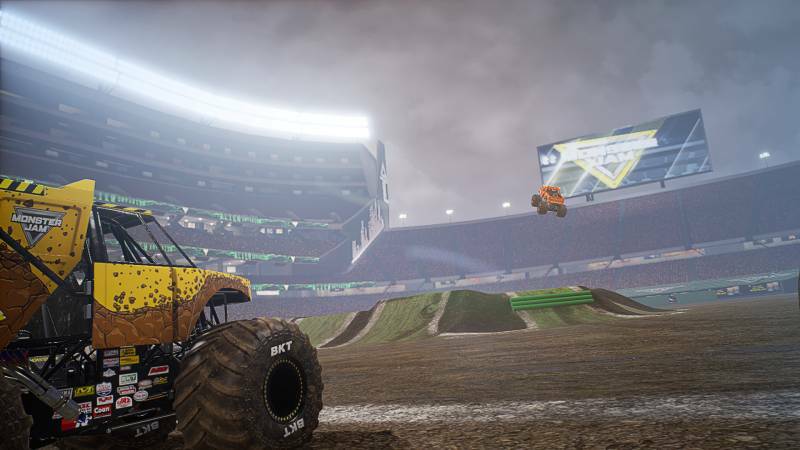 Hear the roar of the crows in Stadium mode, or experience off-road monster trucking in the outdoor Racing mode. Monster Jam Steel Titans also includes a Stunt Challenge mode and the fan-favorite Destruction mode! Practice your skills just like the pros in the Monster Jam University! 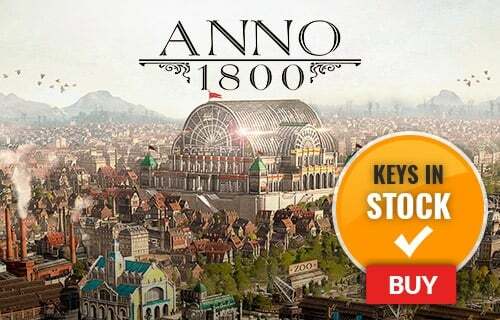 Want to get a free key to play Monster Jam Steel Titans?